In India or all over the world marriage will be perfome in the presence of many people like relatives, friends and neighbors and calling the photographer to catch the all sweet moment in shape of photos. The main aim of the gathering of the people is only sharing of the happy moments of the family of bride and bridegroom with their known persons and no other purpose. But on the other hands, the all person automatically became witness of the said marriage and when the next time bride and bridegroom will meet any relatives or friend, not required to told them to anybody ,they are married because they already known this fact. A Document shows any specific quality of a person, called is certificate. For example an institution issued a document to the student after completing the education, is a certificate. Purpose of issuing a certificate only is rather than the institute other people also know about the qualification of the student and by this certificate student can show own educational quality to others. Marriage certificate is also a document who showing the name of married couple, date of marriage, age of married couple and place of solemnization of marriage. Generally we have two types of marriage certificates. 1. Ist is issued by the institute (like Temple, GurudGenerally awra) after performing the marriage, 2. Second is issued by the state govt. where the married couple resides. Sometimes a couple perform their marriage against the consent of the parents in a Temple or Gurudawra and that why no one present at that time of the marriage, in that case couple needs some prove which show that the perform the marriage except the photos of marriage. In that case priest of the institution (Pandit in Temple or Pathi in Gurudawra) issued a certificate on the behalf of Temple or Gurudawra in the favour of the married couple who shows that the present couple perfome their marriage in the said Temple or Gurudawra. With the help of the certificate couple can apply for the protection of life and liberty before the Hon’ble High Court of Chandigarh. If the couple applying the passport after marriage, then they required a marriage certificate to show them being husband-wife. 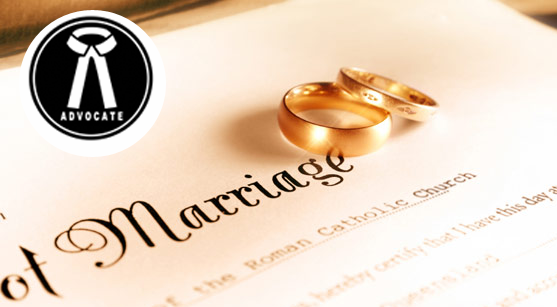 If couple has marriage certificate issued by the state authority, its give benefit in India as well as abroad. If a married couple who solemnized their marriage in India and live in other country, the law of the said country needs some document who proof that couple is married and after that couple can enjoy the facility of govt. of the said country being husband and wife. In the absence of the marriage certificate couple would face some difficulty.